Barry Sheene (born as Barry Stephen Frank Sheene in London, England, died in Australia) was a famous Celebrity from United Kingdom, who lived between September 11, 1950 and March 10, 2003. He became 52 years old. Barry Stephen Frank Sheene was a British motorcycle racer. In the 1970s and 1980s he drove successfully in several Grand Prix World Championships. He began his World Cup career in 1970 with the 125cc with a second place in Barcelona. 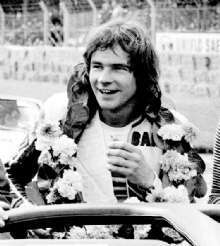 In 1973 he won the prize of the FIM in the 750th Formula In the years 1976 and 1977 Sheene was world champion in the 500cc class at Suzuki. After another successful year in the 500s in 1984, he moved back from the Grand Prix racing. Privately, he was known as a party animal and chain smoking. After his marriage to Stefanie McLean was quiet, he went to Australia, mainly because of the climate. He suffered from arthritis. After his race time, he became a successful businessman. 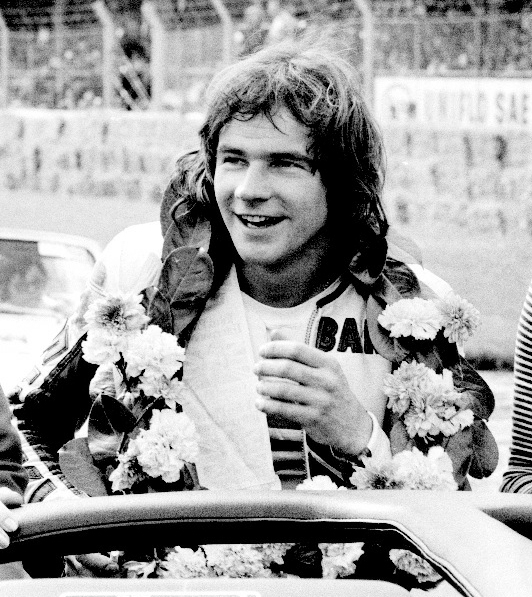 Sheene died in 2003 in his adopted home of cancer in Australia's, when he died he left two children behind. Chris Vermeulen's Sheene was a friend and supporter, started in 2008 and 2009 in memory of him with his race number, the number 7. He is born under the zodiac virgo, who is known for Analyzing, Practical, Reflective, Observation, Thoughtful. Our collection contains 10 quotes who is written / told by Barry. "I race in two or three classic races a year and I may carry on for 10 more years or I may stop tomorrow"
"It wasn't about the money. I just wanted them to admit it was their fault"
"I'd get to within a yard of that door you walk through and the thing would go mad. I used to carry an X-ray in my briefcase, to show them. But I had all the metal taken out"
"I vowed I would do everything I could to stop the Isle of Man counting towards the world championship. And it was stopped, so they love me in the Isle of Man"
"It's not as if there's a noise problem, because they use the same circuits as Formula One"
"I thought: This is not racing, it's a suicide mission"
"Nobody within motorcycling has or deserves any respect"
"They were ridiculous times. After I won my world championship in 1976, I went to Japan"
"I decided there and then to sue the bastards"
"Endless motorbike talk can and does bore me"